I have always loved dancing. I dreamed of being a dancer when I was a young girl. It wasn’t to be, but that doesn’t stop me from dancing every chance I get! In fact, you can often find me dancing in my kitchen as I prepare meals. I have some pretty good moves as I’m mixing, stirring, baking, and cooking. I love that we can get video games like Just Dance 2016 for our Wii U. 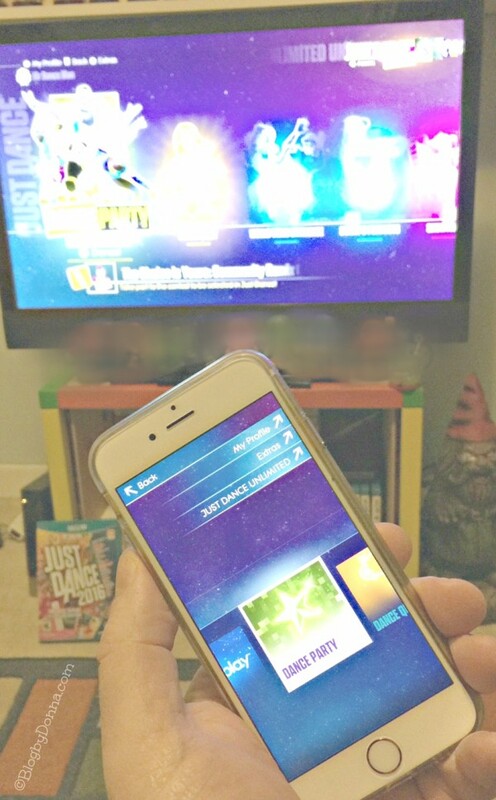 Not only to fuel my love of dancing, but let me tell you, Just Dance 2016 is a great workout! If you are looking for a fun exercise program, this will do the trick. My son is in his play room right now as I type this, dancing to Uptown Funk. He has played it every day since we got it. It was on his holiday wish list, too, but we went ahead and let him have it early. He is having fun and I’m thrilled that he is moving. I also like that I could download the Just Dance Controller App on my iPhone and use it as a controller for Just Dance 2016. We have three iPhones in our home, so that’s three more controllers plus the four we have and seven people can dance at the same time. The Controller App allows players on new-gen consoles to use their smartphone to track their moves and navigate through the game. No peripherals or added console cameras are needed to enjoy Just Dance 2016 on new-gen! My son’s next sleepover is gonna be a blast! This is definitely going to be the best holiday party activity for kids, of all ages. Some of the tracks that are included in the game are “Uptown Funk”, by Mark Ronson ft. Bruno Mars, as I mentioned already, “All About The Bass”, by Meghan Trainor, my personal favorite, “Fancy” by Iggy Azalea, as well as some fun tracks like Angry Birds, one of my son’s favorites. With over 40 top hits and quirky favorites, there’s sure to be something to suit everyone’s musical taste. Just Dance 2016 is a great Christmas gift for kids or the whole family, since it makes a perfect family activity. The whole family can have fun, spend time together, and be active. Just Dance 2016 is now available for all motion-control gaming platforms, including Xbox One, Xbox 360, PlayStation 4, PlayStation 3, Wii U and Wii. I am looking forward to spending many hours dancing and having family fun with my family. 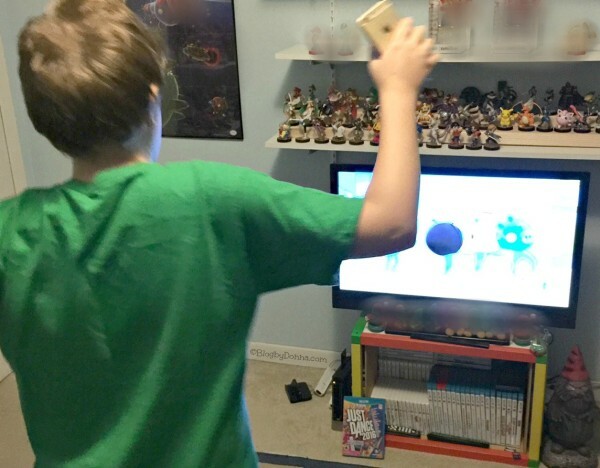 Just Dance 2016 sure puts a new twist on family game night! 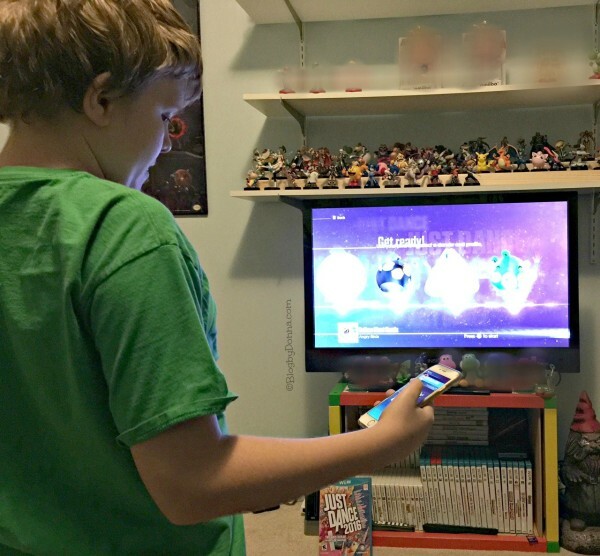 Is Just Dance 2016 on your kid’s holiday wish list? It would be a great gift to put under the tree or as a stocking stuffer gift! 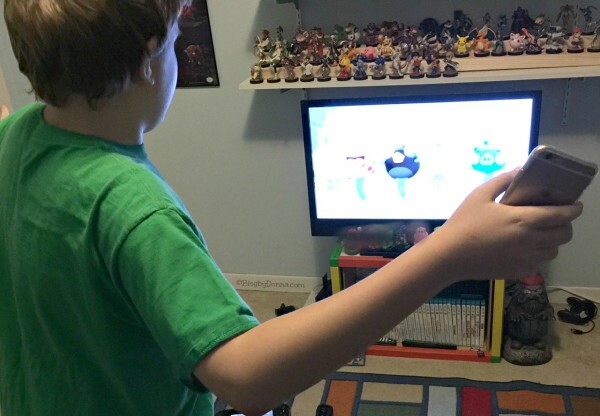 In the age of electronics, I love videos/games that keep kids moving – great gift idea! This is a great gift idea for my Granddaughter who loves to dance and loves music. That looks so fun! My kids always seem to beat me, but we all have a great time. Being able to use your phone as a controller is a wondeful addition so that you can make it a party game. This game is such a blast and I love that kids are moving but they don’t realize they are exercising!